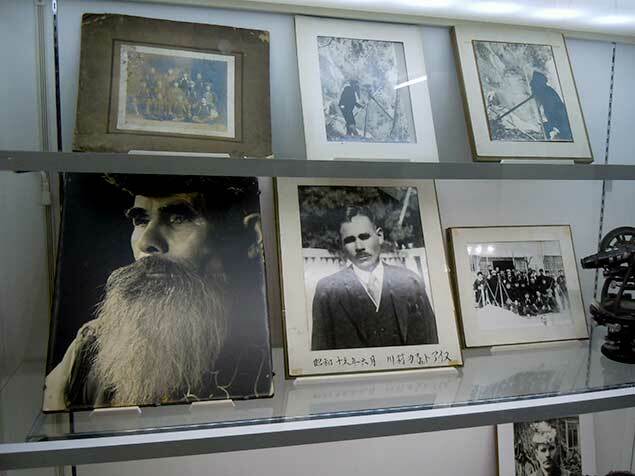 Kawamura kaneto Ainu Museum is a private museum for Ainu culture since 1916. 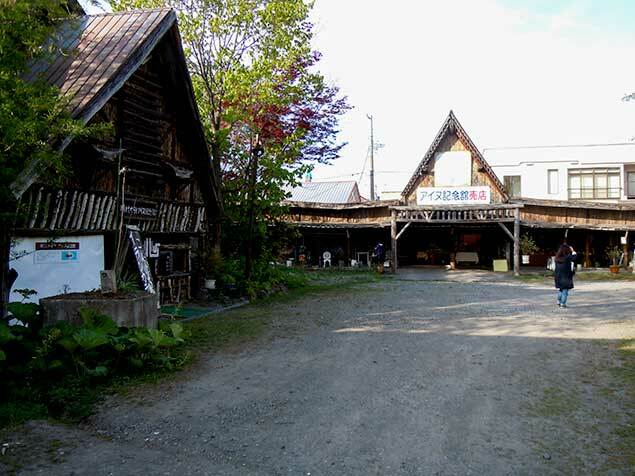 This is the oldest and historical museum about Ainu. 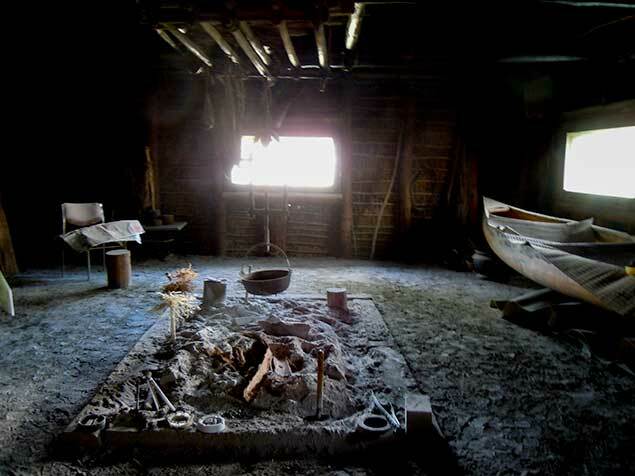 You can deeply understand Ainu culture to visit here. 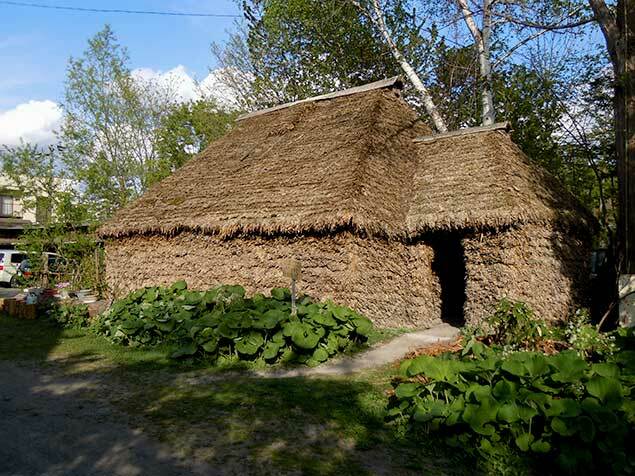 This is the place where real Ainu culture is alive and tell people what Ainu culture is. This is worth visiting and something special you feel. 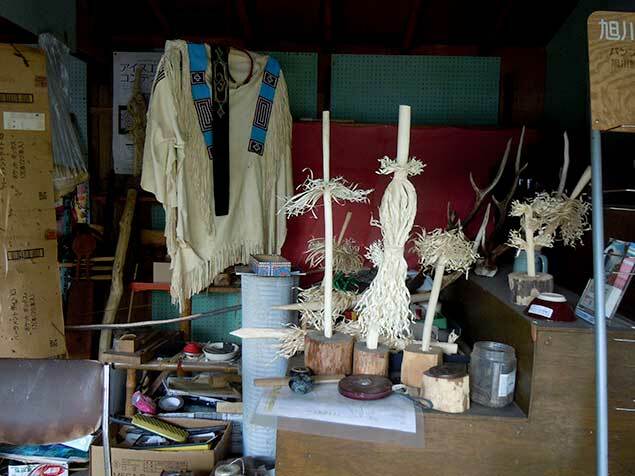 There are many Ainu craft products from old to new. 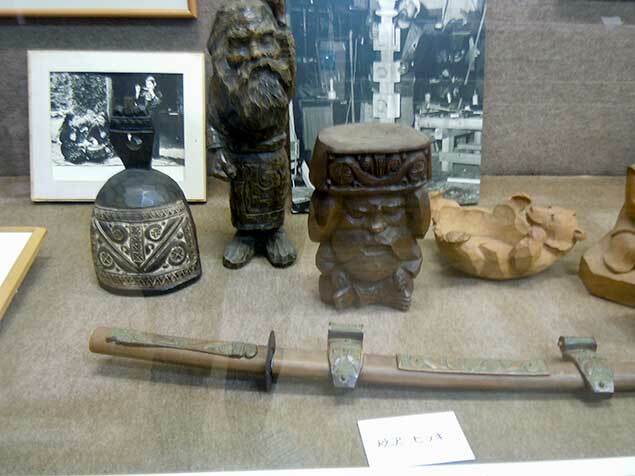 Below, some Ainu wooden crafts by Bikki Sunagawa, a famous Ainu sculptor. 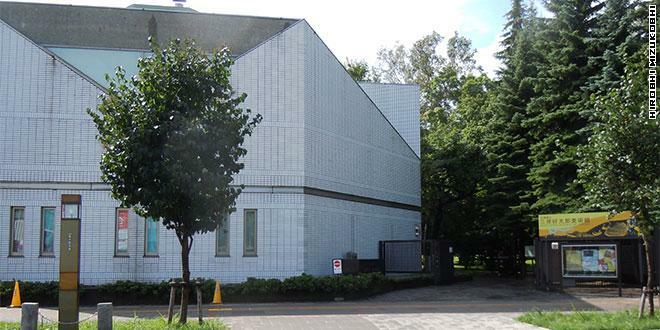 Kaneto Kawamura dedicated his life to work as a registered surveyor in Asahikawa. 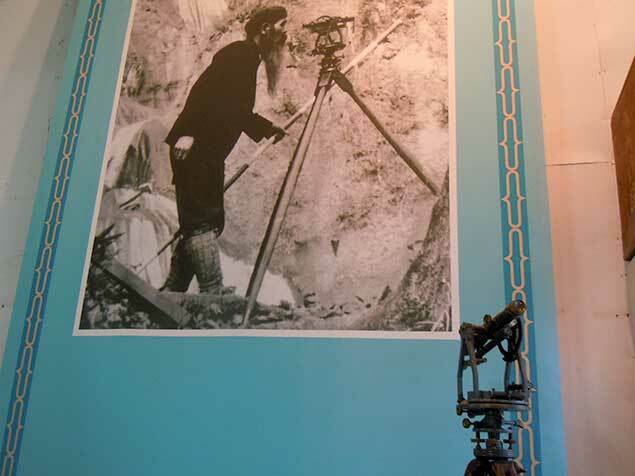 The equipments he used are also exhibited in the corner of the museum. 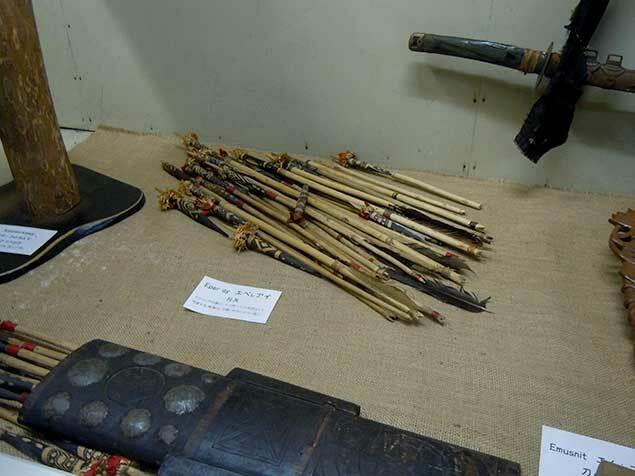 These are the arrows with which Ainu people use in their religious ceremony. 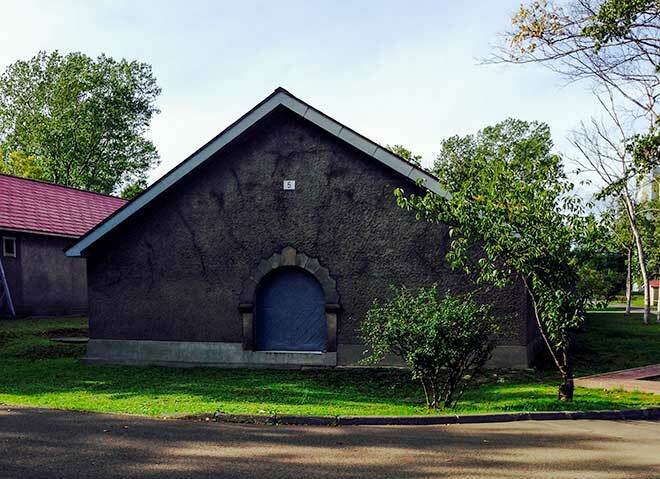 Chise, Ainu house is opened to public. There is a museum shop next to the museum. 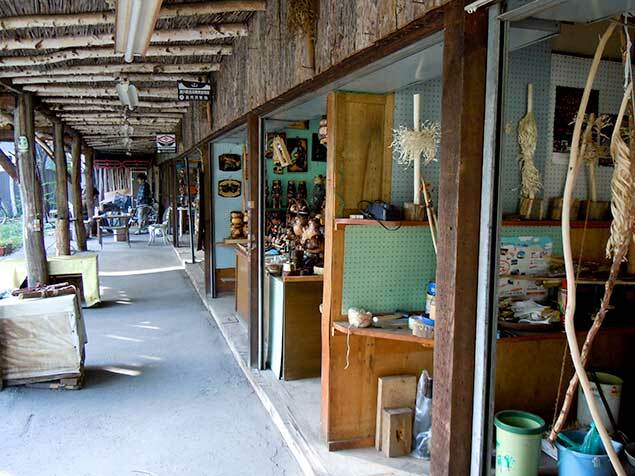 Some craft shops are lined and you can buy some Ainu crafts. It takes about 12 minutes from JR Asahikawa station or 7minutes from JR Chikabumi station by car. Express trains stop at Asahikawa station, so that you might take a taxi at Asahikawa station. By bus, take a Asahikawa Denki Kido bus No.24(旭川電気軌道バス) at 1-8 bus stop/Court Hotel via Kitamoncho 21 chome yuki(北門町21丁目行き) to Ainu Museum(アイヌ記念館).